I was born into the world of Dogs, as my parents were both all breed judges and breeders of German Shepherds, Boxers, Great Danes, Min Pins and Dachshunds. From a very young age I was involved in show handling these breeds. I have been fortunate to have had invitations to judge in many countries, most of them several times. Amongst the countries I have judged are Germany, Spain, Switzerland, Sweden, Finland, San Marino, Lithuania, Croatia, Romania, Estonia, Latvia, Hungary, Poland, Slovakia, Ireland, Canada, U.S.A., Mexico, Puerto Rico, Peru, Chile, Guatemala, South Africa, Israel, Thailand, Malaysia, Indonesia, Peoples Republic of China, South Korea, India, Japan, Taiwan and the Philippines, both islands of New Zealand on numerous occasions. I regularly judge around all States and Territories of Australia. I have been invited to judge at prestigious events like Contest of Champions and Puppy of the year events around Australia, Asia and Europe. Some of the memorable shows I have been fortunate to judge are: the FCI World Dog Show in Bratislava, Slovakia and the 2017 World Dog Show held in Leipzig, Germany. The FCI's biggest show on record. I have also judged the FCI European Winners show in Zagreb, Croatia, Dracula Show in Transylvania, Romania, FCI Centenary Anniversary Show celebrating 100 years of the FCI. In Dortmund, Germany, also the German Kennel Club’s VDH-Europasiger Show. Stockholm International show in Sweden. Part of this assignment is the prestigious, Contest of Champions. 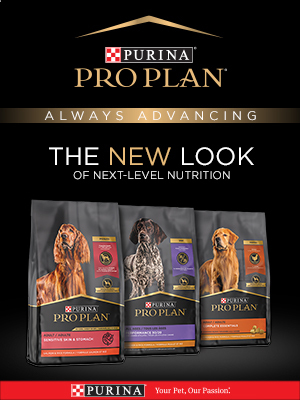 Canada's biggest shows the Purina National in Toronto and the Lower Mainland Kennel club show in Vancouver. Asia's biggest show the Tokyo FCI International Show in Tokyo, Japan. The FCI Asia and the Pacific Section show held in the Philippines. The FCI section show of the Americas and the Caribbean held in Santiago, Chile. Since moving to Australia in 1984, we have been involved in the breeding and very successful exhibiting of Shetland Sheepdogs and more recently Miniature Schnauzers. We owned and exhibited South Australia’s number one Sheltie and Working Dog for two years in a row, who has become another addition to our Grand Champions. This male Sheltie is the greatest winning Sheltie, of all time, in South Australia. Many of our Shelties are Best in Show winners, in both All Breeds and Specialist competition. Our Miniature Schnauzers have been awarded Best in Group and Best in Show awards both at the All Breeds and Specialty shows. We are still actively involved in breeding and exhibiting our dogs. We also have owned a Dachshund, who has performed very well for us, taking out the National Breed Specialty. My current involvement in the dog fancy in South Australia is as an ANKC Examiner on the Judge’s Training Scheme and as a committee member on the All Breeds Dog Club of South Australia, Colomeke All Breeds Kennel Club of South Australia and the South Australian Canine Association's Winter International Show. So far today Canuck Dogs has had 91,628 visitors. Since March 26, 2010, Canuck Dogs received 623,103,099 visitors.